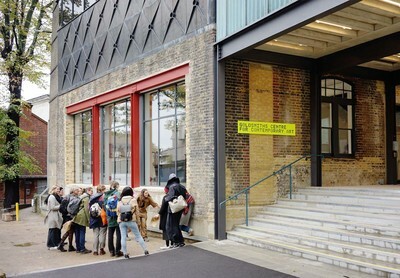 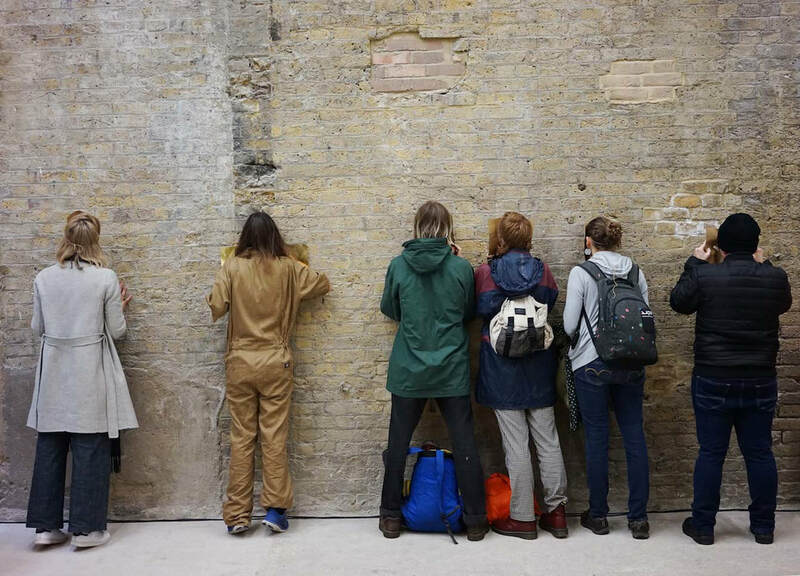 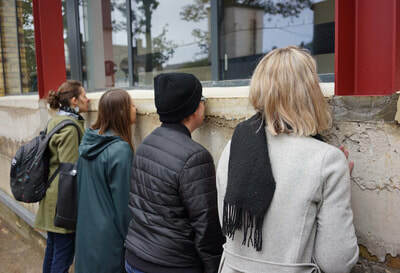 Talking to a Brick Wall (Sept 2018), commissioned by CCA Goldsmiths. 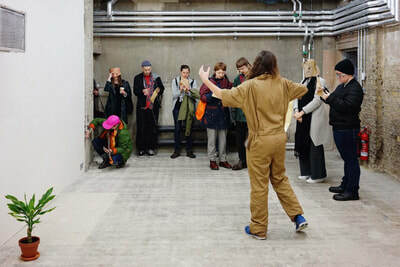 Artist and wall-fan Louise Ashcroft live-writes a sonic ode to the gallery’s exposed brickwork. 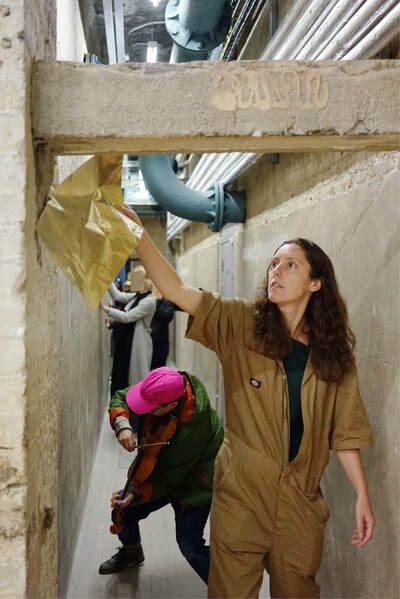 With participants' help, charismatic cracks in centenarian cement construct rituals and fragments of narrative exploring the materiality of the building. Using various processes of interpretation and translation, such as pencil rubbings, spoken word and musical instruments; the walls become a performance score. 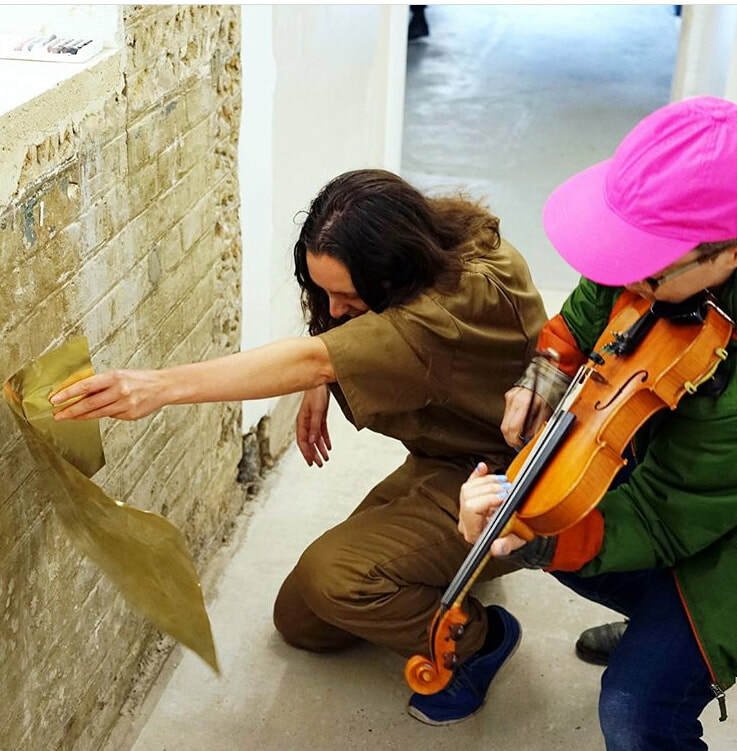 Performed in collaboration with Fritha Jenkins on violin.